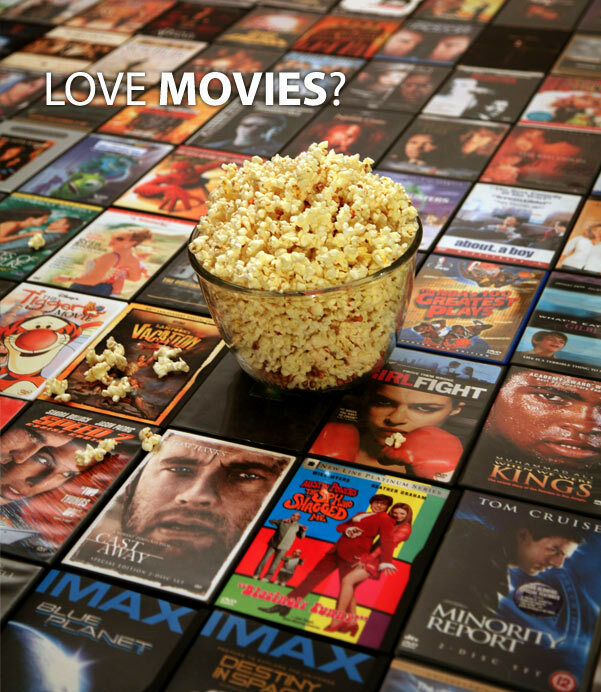 I love movies! I love them at home when I’m taking a deserved break. I love them at the theatre when I’m with friends crunching on overpriced popcorn. I love leaving my life behind for an hour and a half and diving head first into a fictional and more exciting one. I love watching chick flicks when I’m feeling lonely, action movies when I’m feeling weak, and comedies when I’m feeling grouchy. I love what movies sometimes teach me. It’s possible I love movies a little too much. Furthermore, I love (tired of that word yet?) the idea of movies back in the “old days”. And the epic old theatres they were watched in. It was the early 1900’s. Movies were a new, exciting, and even controversial thing. It was a treat to see a film; something special. Now days there are so many movies being released at all times that we can’t even hear about them all, let alone see them. We are actually in quite a transitional period in the movie industry right now. Everything is becoming digitized. I find this loss of the physical a little depressing. The smell of a book, for example; it’s just not same as the digital (and less expensive) version. Or the experience of the theatre: the smell of popcorn, the feel of the weird carpet walls, or the sound of that one laugh amongst the many that is extremely distinctive and loud. When I saw Seven Pounds, there was more than one moment I could hear everyone around me sobbing. I love that uniting feeling. Movies can feel like a personal experience, but I think that what makes movies so great is how they bring people together. The build up before the release and the endless discussion as to the degree of success or failure afterwards is all a communal experience. At least we are not anywhere close to losing theatres just yet. So I started looking up information about movie theatres in Lethbridge’s history at the Galt. For my last article I researched Irma Dogterom, and lo-and-behold, it was her book Where Was It? : A Guide to Early Lethbridge Buildings where I found a great deal of my information. The Galt Archives has a little library with this and other similar books based on Lethbridge history (check it out). The Galt also has files of newspaper clipping by subject which was very informative. I thought I’d share some of my findings with you. It was August, 1897 when the first examples of moving pictures were shown in Lethbridge (that we know of). They used a Theatrograph (the first commercially produced projector), later called the Animatograph. This was quite soon after it had been invented; apparently Lethbridge embraced them quite quickly. In 1898 they also used a Kinetoscope, a newer better version of the Animatograph. They were shown in the “Building Company Hall”, later known as The Opera House. It was sort of a town hall/entertainment center located around where Express Coffee now is. Oliver’s Hall, in April 1901, became the first site for the Cinematograph. Here were held “the first crude moving picture” shows, says Dogterom. It still stands, empty I believe, right across from the King of Trade. It even has OLIVER still written in stone on top. The movie business caught fire fast. The first movie theatre was the Bijou (meaning The Jewel) Theatre, later called the Variety Theatre, in 1907. Burnt to a crisp in 1917. The second was The Lyceum (meaning hall, who knew?) in 1908, which changed names and owners many times. It became Starland, then The Star, then The Phoenix, then King’s, and then just Kings. It closed in 1925. It was in a little building to the right of the (now) Alec Arms Hotel. That same year the Eureka Theatre opened, later called the Orpheum (derived from the Greek God Orpheus, whose poetic and musical skills could charm anything). It closed 1918. Another was born in 1910, the Griffith Theatre, quickly changed to the Majestic Theatre. It only started showing moving pictures in the late twenties. This theatre was the largest for quite some time, seating 1000 people. It was the first theatre in Lethbridge to show a talkie; The Singing Fool with Al Jolson. This movie was “credited with helping to cement the popularity of both sound and the musical genre” (Wiki). The Grand Electric Theatre opened only for a few months (a shame, cause the name is awesome) in 1910 while The Morris Theatre was being built. The Morris and the Monarch Theatre both opened in 1911. The Morris Theatre changed its name five times: from Sherman Theatre to The Orpheum (different from the other Orpheum) to Colonial Theatre to The Palace to Capitol Theatre. When it opened it had a very unique and elegant canopy on the front. It also opened with very ‘modern’ padded seats, but students kept swiping the cushions for padding for roller skate straps. Some believe the manager’s pleading at the school, says Irma Dogterom in her book, only hastened the pinching. Soon the seats were just wood again. Meanwhile, the Monarch Theatre (later called The Regent and then Lealta (meaning loyalty)) was the first theatre on the Northside, on the corner of Third Avenue and Thirteenth Street in what used to be a bank. At this time the rest of the theatres were all very near to each other, some even neighbours, on fifth street on the Southside. 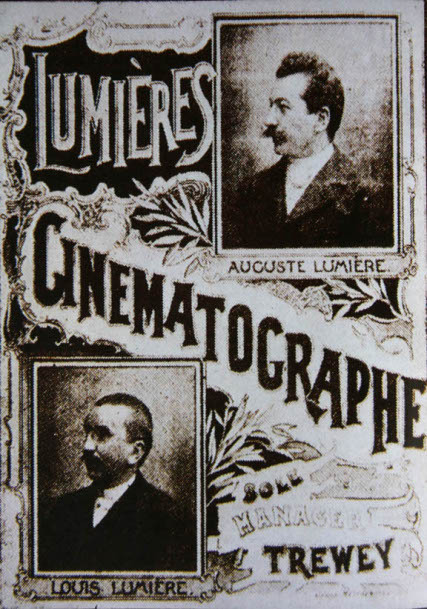 It was also one of the first theatres to show foreign films and experimental films. The owner, when it was the Lealta, used the old bank vault as a developing dark room for his photography. It closed around 1962. It’s really curious that Lethbridge felt the need for so many theatres. Granted these theatres often didn’t limit themselves to just films but showed other things like plays, magicians, boxing etc. But still. Movies are as popular as ever these days and we only have two. Interesting. The last theatre to emerge during what I have deemed as the Lethbridge’s theatre boom is the Empress Theatre, which later became Roxy Theatre in 1913. It is remembered as the first theatre with air conditioning. In closed in 1959. Our theatres since then may still be in some of your memories. Around 1950, the Western Drive-In, later known as the Green Acres Drive-In, and Paramount (later ‘Cinemas’ was attached to the end) emerged. The drive in closed around 1986. I saw one show in Paramount before it closed in 2007. 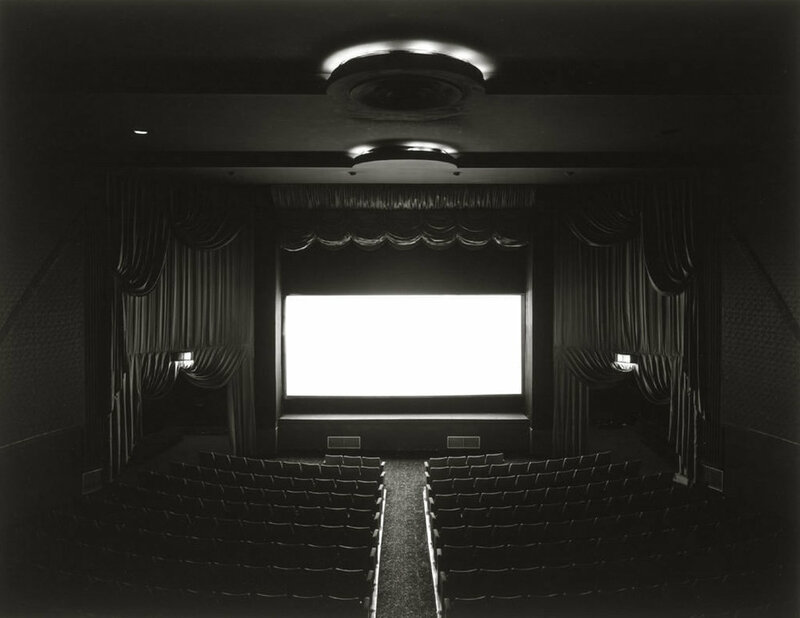 It was the first theatre in Lethbridge with more than one screen. It is now a bank and some offices, which is a little sad, but they have kept the outer structure unchanged. They have also posted pictures along the walls of the interior of what the inside of the theatre used to look like. I really like that they have kept that connection to its original use. In 1969 College Cinema opened in the College Mall and closed in 1994. In 1975 the Twin Cinemas, later called the Lethbridge Center Cinema opened. It closed in 2005. Currently we have two theatres in Lethbridge; Galaxy Cineplex at the mall and The Movie Mill. We are actually quite lucky to have this contrasting balance. Galaxy shows the new releases on larger screens. The Movie Mill shows either movies Galaxy did not show or the big hits around a month after they are shown in Galaxy, at a reduced cost. I like being able to go to my must-see movies on the big big screen (does the fact that they have two sizes of screens costing the same amount annoy no one else? ), like Batman or Inception, but not missing out on the less mainstream movies. Like Wes Anderson’s Moonrise Kingdom (I wholeheartedly recommend this movie!!). Or if there is a movie I want to see mostly for interests’ sake, I’ll wait for it to come to the Mill and save some money. I was really surprised at how many movie theatres Lethbridge has had since motion pictures were invented. At one time there must have been at least five all running at the same time. With the birth of TV and internet, I wonder if the need for theatres has decreased. I do hope they’ll stick around though. They remind me that even though I could live an increasing large portion of my life without any human contact, it’s not as good that way. Being with people counts for something, it enhances the experience of life. What about you? Any favorite movie theatre experiences you’d like to share?? I would really love to hear them!